The latest drones on the market are more capable than ever, but several hurdles remain in the way of smart autonomous drones, including better sensing and processing capabilities. Current unmanned aerial systems are simply not equipped to reliably avoid obstacles in real world situations or process computationally intensive tasks. Industry focus has already shifted to finding breakthroughs in “sense and avoid,” “real-time processing” and “deep learning” in order to enable truly autonomous flight and realize drone’s potential in real world applications. Last month, Aerotenna successfully tested obstacle avoidance in a variety of flight scenarios using μSharp™, a 360° sense-and-avoid microwave radar. 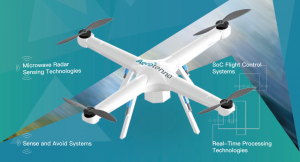 Since that time, the team at Aerotenna has further miniaturized the profile of the radar to ensure integration with even the smallest consumer drones. 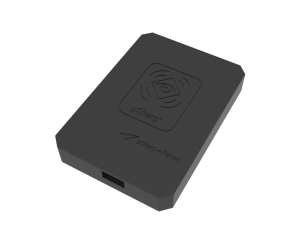 The μSharp Patch, smaller than a credit card, quickly detects and locates obstacles on the horizon. Unlike other types of sensors, this miniaturized radar maintains reliable collision avoidance capability in any weather or lighting condition. The μSharp Patch will be unveiled at the Commercial UAV Expo later this month. While the consumer drone industry is focusing on aerial photography, the commercial drone industry is utilizing drones to perform more complex and demanding tasks. The ideal unmanned aerial system will include the right combination of sensors based on the drone’s task, as well as a high-performance computing system to efficiently process sensor data while maintaining safe and stable flight. Commercial drone makers and service providers are finding that traditional MCU-based flight controllers lack the sensor fusion capability and processing power needed to handle their processing-intensive applications. 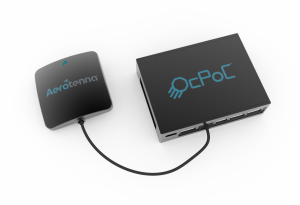 OcPoC™ (Octagonal Pilot on Chip), a SoC FPGA based flight controller released by Aerotenna in February 2016, is still the most capable flight controller on the market in terms of sensor fusion and real-time processing capabilities. An industry-leading 100+ I/Os allow for sensor integration, while the combination of a dual-core ARM processor and FPGA enable sensor fusion, onboard real-time processing and deep learning. OcPoC-Zynq® mini, designed for small-sized drones, will be released alongside the μSharp Patch at the Commercial UAV Expo. This combination of robust sensing and real-time processing advances consumer and commercial drones one step closer to truly autonomous flight and endless new possibilities.